Can’t get enough of ’em central bank events? Well, we’ve got another potentially action-packed week with these top-tier forex market catalysts lined up so y’all better start early when it comes to figuring out how to make pips off these. If you’re a newbie forex trader just tuning in, lemme tell you that these rate statements are typically the bread and butter of forex price action since central bank officials are in charge of adjusting interest rates and money supply, which then influence the demand for and value of a currency. Heck, even the transcript of their meetings tend to have a strong impact on price action since these provide an inside scoop on their monetary policy game plan! First up, the boys over at the Reserve Bank of Australia (RBA) are set to release the transcript of their latest monetary policy meeting. Recall that RBA Governor Stevens announced that they decided to keep interest rates on hold at 1.00% during their policy statement a couple of weeks back, barely making any significant changes from their earlier announcements. 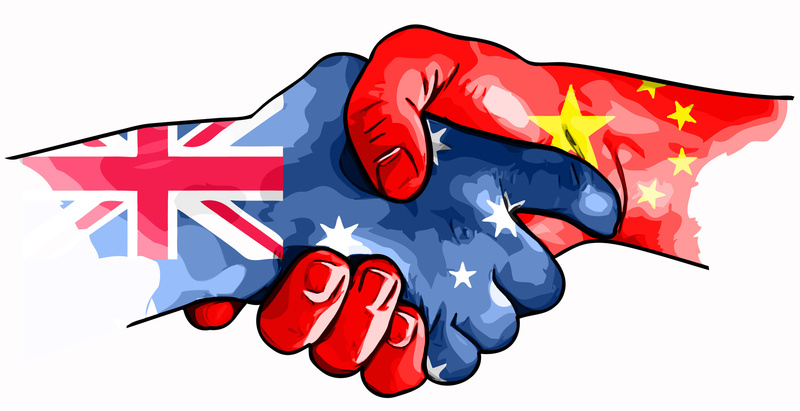 Reviewing the recent numbers from Australia and its top trade partner China, however, reveals that the economic landscape has actually changed a lot. Because of this, a bunch of forex junkies had been expecting the RBA to shift to a more dovish stance for quite some time so it will be interesting to see whether or not policymakers are getting increasingly concerned about the slowdown in China and its drag on Australia. With that, market watchers are on the lookout for any cautious comments on weakening inflationary pressures and slowing external demand, which might then push the Aussie down under. On the other hand, reassuring remarks from most RBA policymakers and less jawboning from Governor Stevens could allow the Australia dollar to stay afloat. Officials from the Bank of Japan (BOJ) are set to announce their monetary policy decision anytime on Tuesday, most likely towards the end of the Asian trading session. No actual changes on interest rates or bond purchases are expected to be announced, although some yen traders seem to be pricing in downbeat remarks from the central bank. Recall that BOJ official Sayuri Shirai spoke about the importance of maintaining an accommodative monetary environment to support the economic recovery in Japan, triggering a sharp selloff for the Japanese currency last week. She also pointed out that the possibility of cutting rates on excess bank reserves should not be ruled out. If this easing bias rubs off on most of the BOJ policymakers, their rate statement might sound a little more downbeat this time around, pushing the yen much lower against most of its forex peers. But if majority of the board members continue to express confidence in the Japanese economy’s prospects amidst the slowdown in the region, the yen might be able to regain ground. The Swiss National Bank (SNB) isn’t expected to make any major changes to their current monetary policy, although this particular central bank is notorious for surprising the markets every now and then. SNB Thomas Jordan has been pretty vocal about their pledge to keep the franc weak, reiterating that they’re open to intervening in the forex market if necessary. SNB officials pay extra close attention to the EUR/CHF exchange rate when it comes to setting the ideal trading level for the Swiss currency. Although the Swiss central bank already removed the peg at 1.2000 in January this year and the franc continues to weaken against the euro, SNB officials might still decide to throw in a few more dovish remarks since the ECB has previously expressed their openness to further easing. Perhaps the biggest market mover among these central bank events is the upcoming FOMC statement, during which the Fed is also set to release their latest economic estimates. Most market participants seem to have accepted that a rate hike ain’t bound to take place this month so dollar traders are just waiting to find out if a liftoff is still possible before the end of the year. Data from the U.S. economy has been more or less stable, with some sectors showing a slow but steady pace of improvement. Employment growth has been subdued while inflation could face headwinds, suggesting that Fed head Yellen could refrain from announcing any tightening moves for now. Even so, interest rate projections from the FOMC members could still allow the dollar to stay strong, especially if the dot plot reveals that they’re still on track to tighten sooner rather than later. Last but most certainly not least is the release of the BOJ meeting minutes before the trading week comes to a close. While the actual BOJ statement might have a much stronger impact on yen pairs, this report could still spur a few moves here and there if it indicates any shift in bias among policymakers. In the previous policy meetings, BOJ official Takahide Kiuchi had been voting to taper bond purchases, saying that the stimulus program has a limited effect in boosting economic growth. However, he also recently pointed out that the slowdown in China could pose a huge risk to the global economy, export activity, and Japanese consumer confidence. Dovish member Sayuri Shirai might also have a few more details to share on why the BOJ should keep monetary policy accommodative, possibly putting more downward pressure on the yen. That’s all I got, forex folks! If you’re planning on trading any or all of these events, lemme leave y’all with a friendly reminder to practice proper risk management and make the necessary adjustments to account for additional volatility. Good luck!